The .260 Remington cartridge is thought of by many as what 7.62x51mm should have been. A 6.5mm diameter bullet, known for their stability and long-range accuracy, driven by the cartridge volume of the 7.62x51mm case creates a round that can cheat the wind and put rounds on target with lethal effectiveness at ranges exceeding 1000 m, and with less recoil as a bonus. The 6.5mm (0.260") diameter bullets used in this round have extremely high ballistic coefficients, often exceeding heavy .30 caliber bullets, and thus very flat trajectories. The 6.5mm diameter has become very popular in the precision rifle community due to these high BCs and excellent stability at long ranges, particularly when encountering wind; the .260 Rem cartridge has earned nicknames like “.260 wind-cheater”. Most .260 Rem rounds, with the right bullets, have a flatter trajectory than the Mk 248 MOD 0 round currently in use by the U.S. Army, which is a .300 Win Mag cartridge with a 190 gr Sierra Match King bullet and a muzzle velocity of 3150 fps. 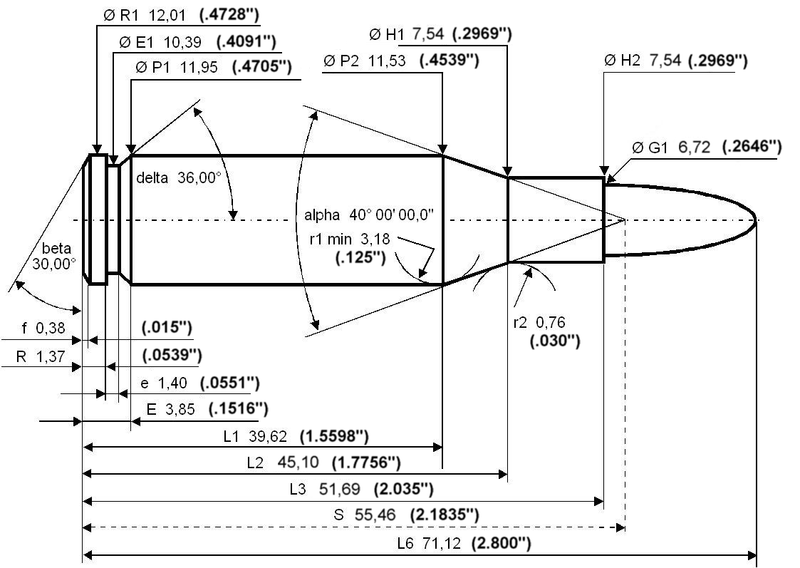 The excellence of 6.5mm bullets is not a new discovery; when the United States was looking at replacing the .30-06 round, many experts strongly suggested switching to a 6mm, 6.5mm, or 7mm projectile because of their advantages, and again suggested this during the Squad Automatic Weapon contest in the 1970’s. But, as fate would have it, the U.S. instead adopted the 7.62x51mm and later the 5.56x45mm calibers. Due to the overlap of military members into the civilian shooting community, military operators are becoming increasingly aware of the advantages of 6.5mm calibers. Since operators want the best tools for their job, many now see .260 Rem as a legitimate replacement for not only all 7.62 NATO options, but also 5.56 NATO platforms. When equipped with a .260 Rem weapon, an operator doubles the effective range of their older 7.62x51mm setups, delivers greater energy at any distance past 200m, and could triple the effective range compared to a 5.56 NATO weapon. All with minimum increased ammunition weight and decreased recoil. Since .260 Rem is based on the 7.62x51mm cartridge, any weapon that can shoot 7.62x51mm can be converted to .260 Rem by changing the barrel. All the magazines and links currently in use for 7.62x51mm platforms just work with .260 Rem ammunition, making .260 Rem the new bar for judging machine gun effectiveness and range.